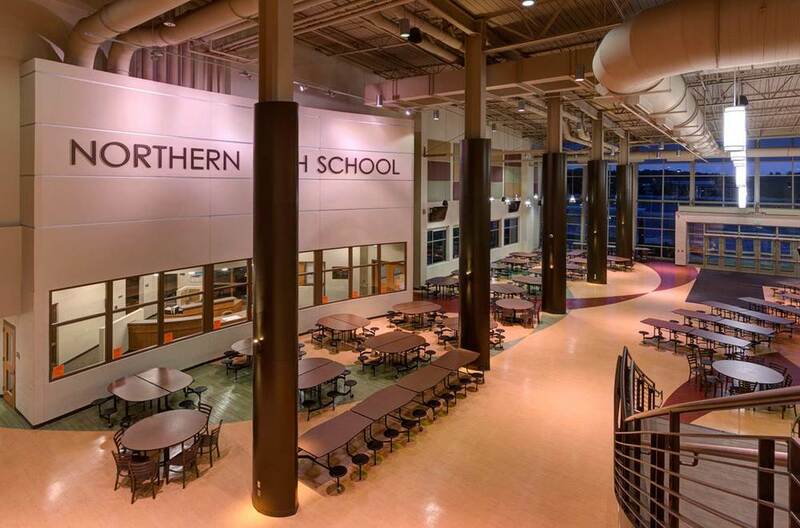 Portage Northern High School | AVB Inc.
AVB completed a multi-phased complete updating of Portage Northern High School. 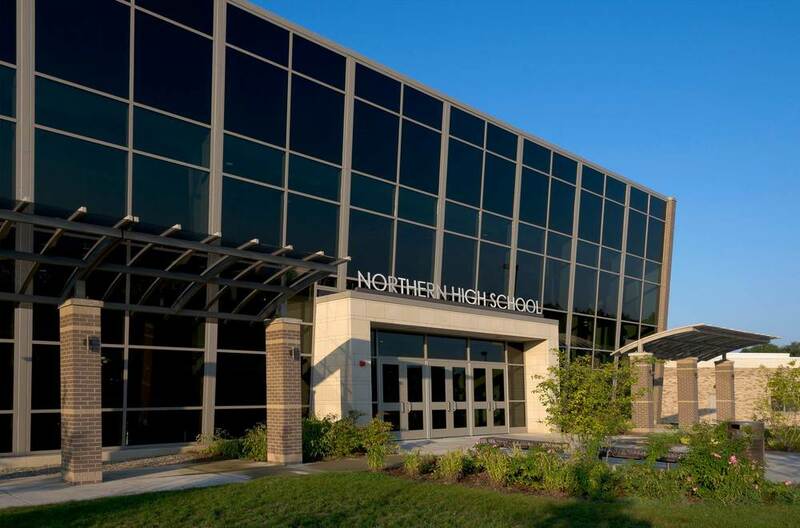 The project included 185,000 square feet of renovations and construction of a 55,345 square foot addition which houses a new cafeteria, administrative and counseling offices as well as the school store and other common areas. The school remained fully functioning throughout the renovation. Further renovations included enlarged learning spaces, new science labs and a new administration area. The cafeteria features a full kitchen, serving center and a multi-purpose gathering area. 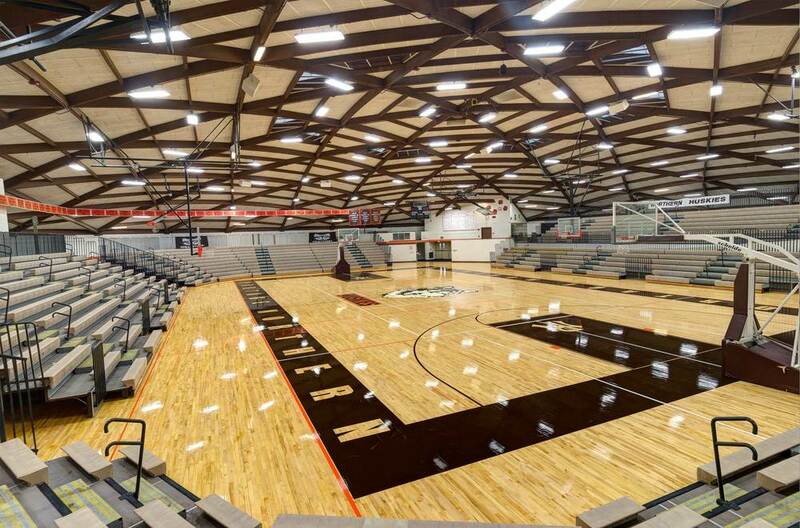 The addition also included a new main entrance for the school to provide an intermission space during indoor athletic events held at the adjacent Igloo Gymnasium. Outdoor improvements included 10 new tennis courts and a softball field. The overall site was reworked to improve traffic in the drop-off and pick-up areas as well as access to the front entrance.